This decal set includes two Eagle I stickers and two safety warning stickers. Perfect for a restoration project on your Sachs Eagle I! Also perfect if you like new old stock vintage sticker decals. 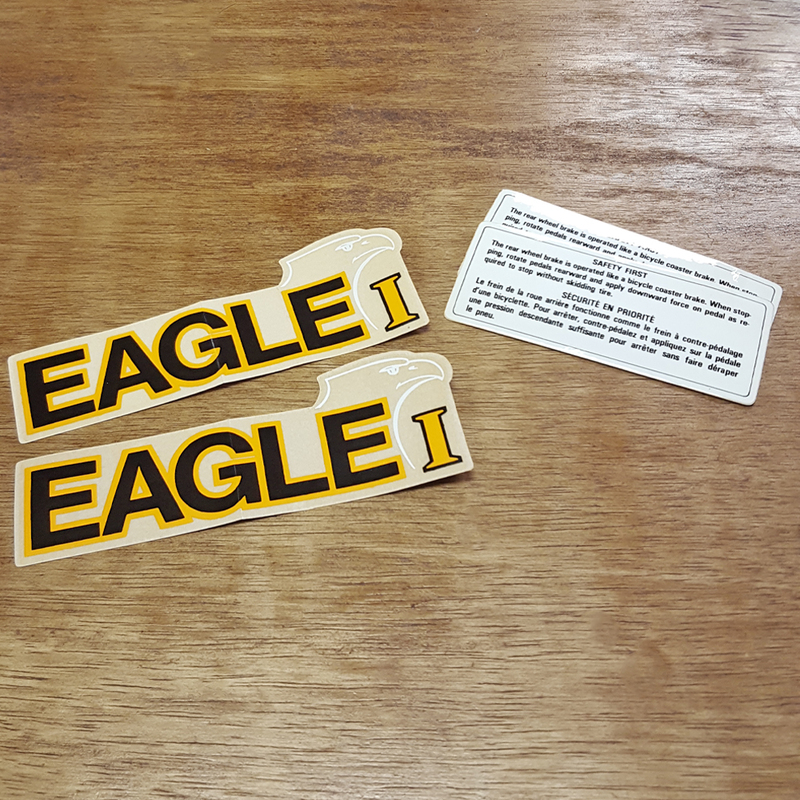 We also have new old stock Eagle II and brand new reproduction Eagle III decal sets!